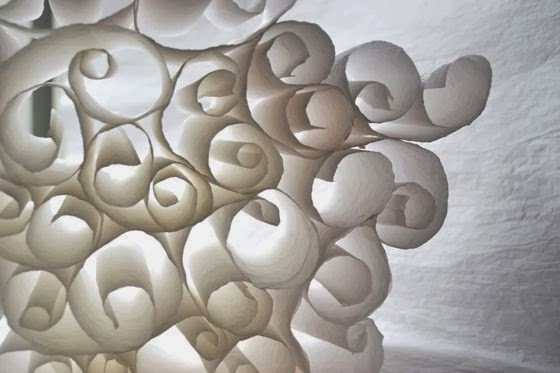 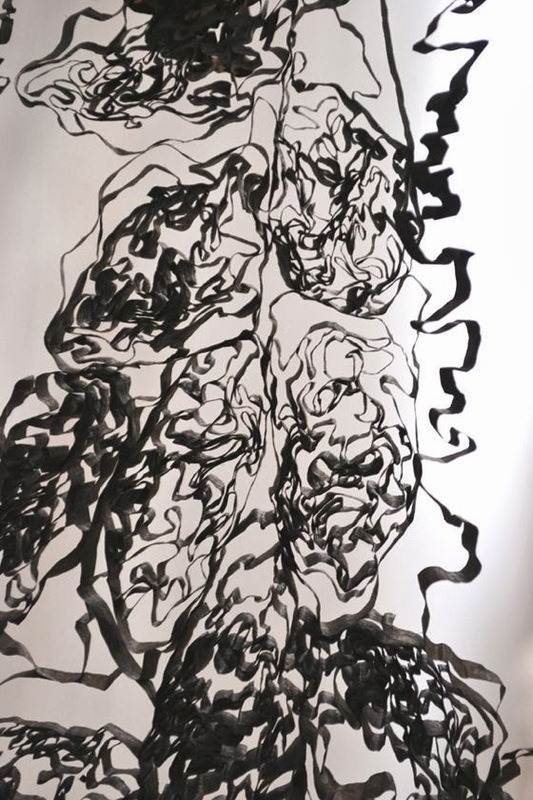 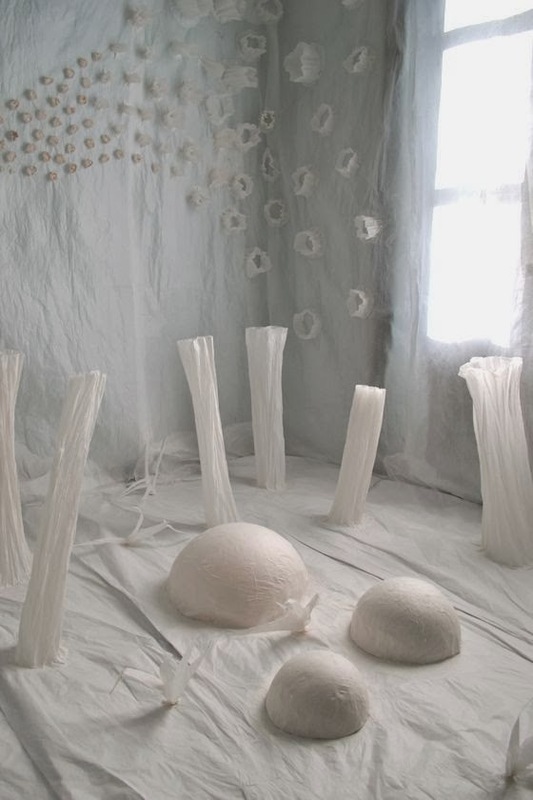 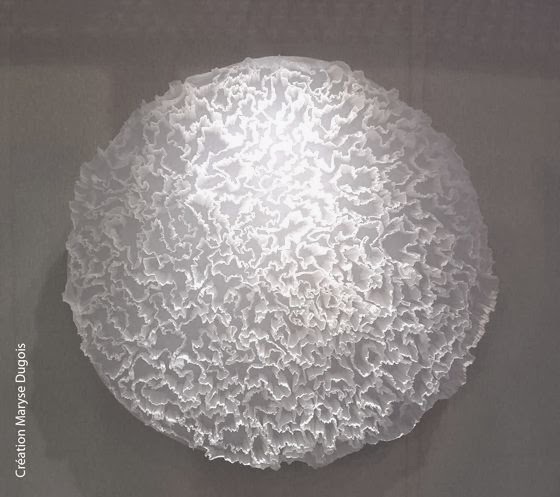 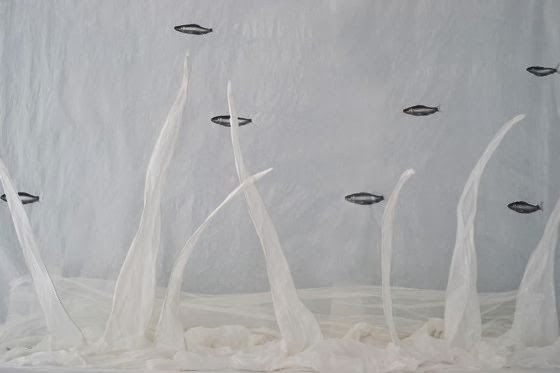 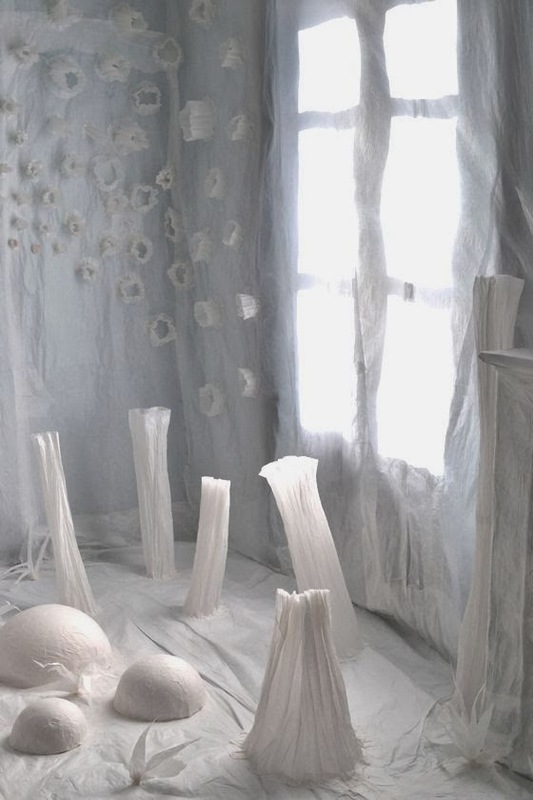 Maryse Dugois is a very talented artist who in addition to working as an illustrator and decorator, is in love with paper art: her extraordinary creations in "papier de soie" (tissue paper) are poetic, romantic but with a very contemporary taste. 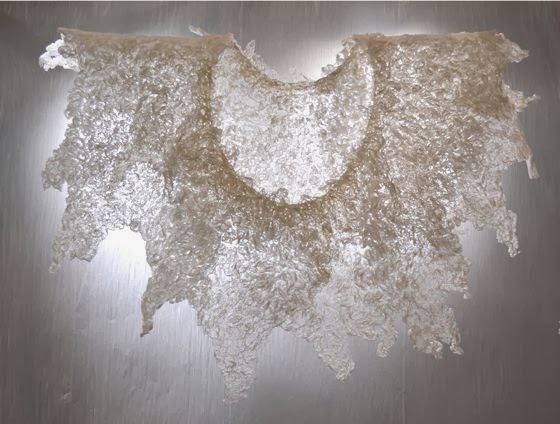 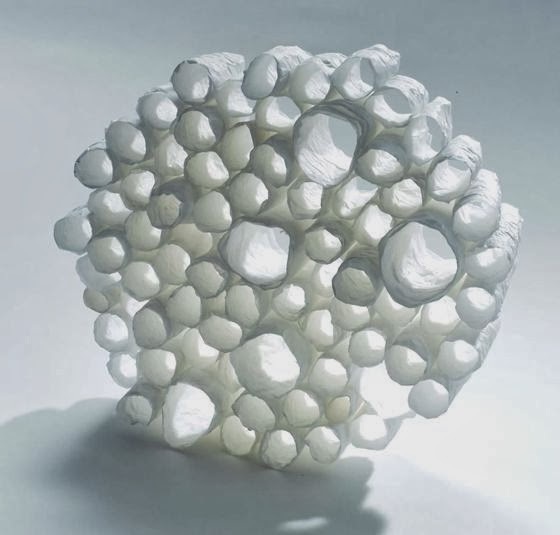 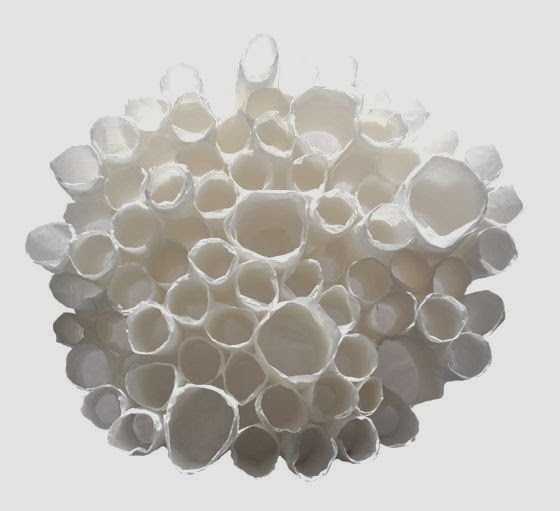 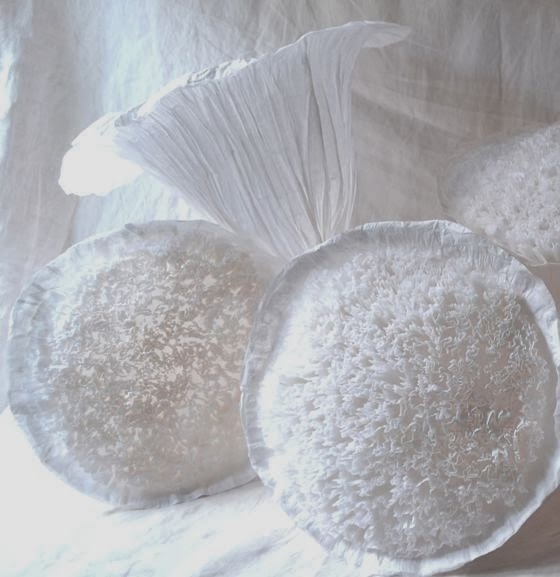 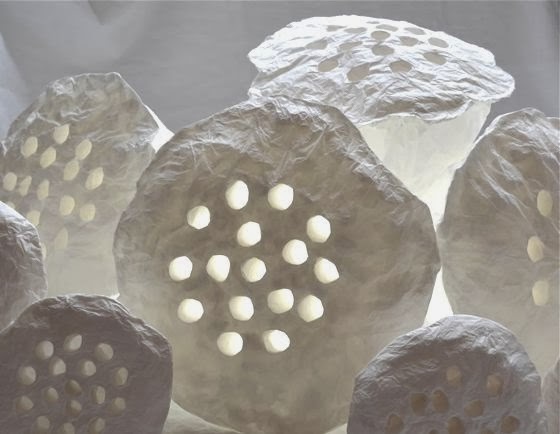 The purity and delicacy of this material, worked by Maryse's skilled hands, creates textures and surfaces alive and exciting. 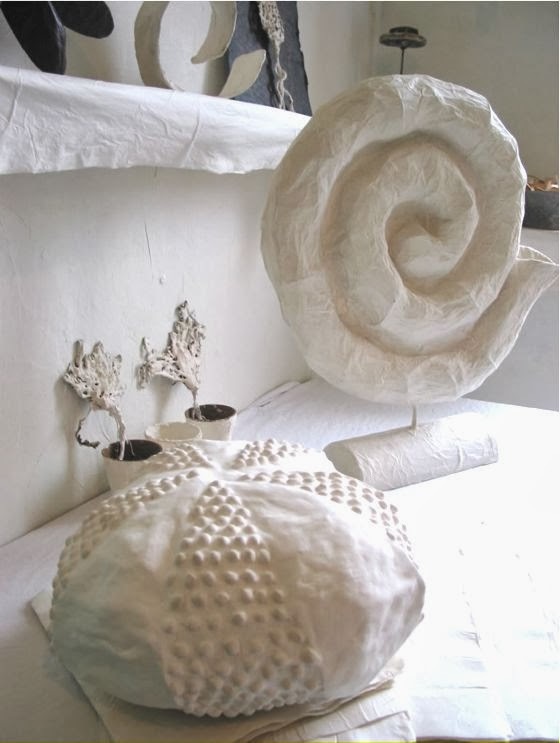 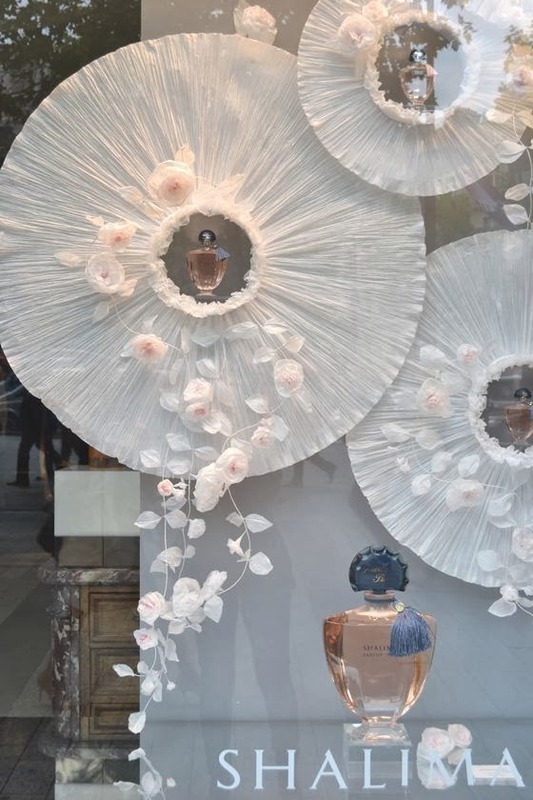 Maryse realizes with mastery sculptures, installations, interior decorations and shop windows.